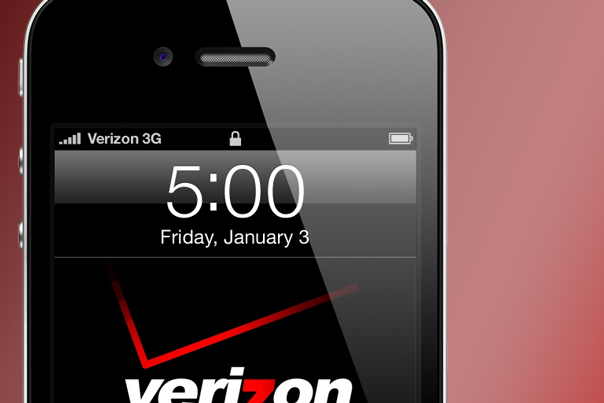 Verizon (s VZ) sold 2 million iPhones (s AAPL) during its fiscal third quarter, the carrier announced Friday. AT&T said Thursday it activated 2.7 million iPhones during the same time period. Though Verizon is still a newcomer to this iPhone-selling business compared to AT&T (s T), its earnings results show it’s building iPhone momentum and gaining on its rival. The 2 million Verizon iPhones sold actually represents a dip in iPhone activations compared to the previous quarter, but they weren’t alone: AT&T and Apple itself also saw sales of the smartphone drop off as customers were reportedly anticipating the iPhone 4S, which went on sale last week. Last quarter, AT&T sold 3.6 million iPhones compared to Verizon’s 2.3 million, both higher than this quarter’s tallies. But Verizon is closing the gap: Last quarter they trailed Verizon’s iPhone sales by 1.3 million; this quarter they trailed by a mere 700,000. And it should be pointed out that AT&T’s numbers include iPhone 3GS sales as well, which incidentally, are selling really well. Verizon has been selling the iPhone since February, and while it appears Apple’s smartphone has been a decent tool for acquiring new customers, it has been more effective as a way to upsell its existing customers. Verizon revealed Friday that during the quarter, 20 percent of iPhone customers came to them from a different carrier, and the remaining 80 percent were already Verizon subscribers, according to a Bloomberg report. Overall, the iPhone continues to help Verizon’s bottom line, but it’s not the sole reason the carrier doubled its overall earnings during the quarter to $1.38 million, from the $659 million it reported a year earlier, when it was iPhone-less. On Friday, it said it sold 5.6 million smartphones during the quarter, half of which were Android (s GOOG) phones. Although it said it “sold out” of iPhone 4S units on the first day it was available, Verizon didn’t offer any further insight into how many of the devices it has sold so far. AT&T said it has activated “more than 1 million” iPhone 4S devices already.